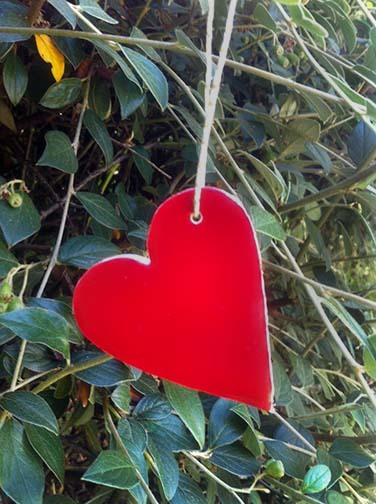 We invite you all to become part of Love is a Radical Act by ordering a few hearts and hanging them where you live. Click below to visit our online store (payment made via Paypal). Thank you! Note: all of these hearts are cut by hand so sizes and shapes vary. Some are white on the back, some are red. In other words, no two are alike and yours may or may not look like any of the hearts pictured on this blog other than being red and heart-shaped. Hooray for variety!